Six months ago, wolf shifter Kyle Rossini almost died on a secret assignment for the Lucani King. His daughter, Cat, and best friends, Margie and Dan, are worried that Kyle is immersed too deeply into his warrior duties, hoping he’ll find a way to be happy. Cat tells him about the lonely human who is living near by, one that Cat has befriended in her wolf form. Tamra McMillan is eteri, human, and living on land near the lucani. Eight months ago she was attacked and raped, which left emotional, mental, and physical scars. On the move and alone, she enjoys the company of the large “dog” who has been visiting her the past few days. But when she meets Kyle, she decides it’s time to rejoin humanity again. The chemistry between Tam and Kyle develops quickly. I appreciate that Tam’s horrific past isn’t swept under the rug, and although she’s able to climb out of her hole and shed her fears quickly, Ms. Julian allows Tam to experience the change from her abused self to one of confidence and able to take on a dangerous lover. The pair scorch the pages with their insatiable lust and need to be with one another. Overall, I was pleasantly surprised by how much I enjoyed Tam and Kyle’s story. 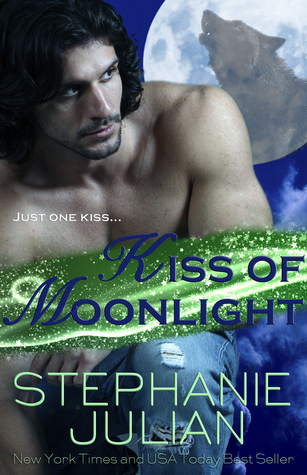 It’s a shifter PNR through and through, complete with mating and near insta-love. But the strong storytelling and unique mythology override any issues I had, causing me to sink deeper into the tale. I look forward to learning more about the Etruscan gods, witches, and shifters of Ms. Julian’s Lucani Lovers world.